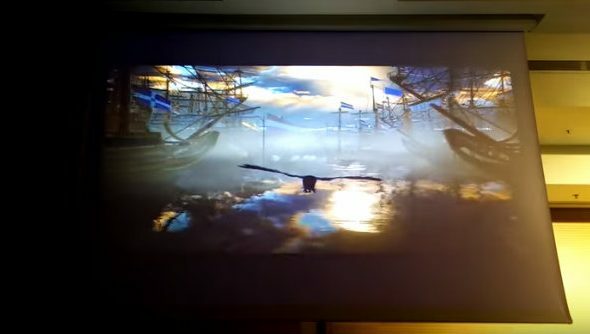 Footage has surfaced from Patrice Desilets’ 1666 Amsterdam, an ill-fated THQ project that was sold to Ubisoft when that firm shut down, only for it to later get cancelled when Ubisoft and Desilets bashed heads during development. After a drawn-out court battle, the two have recently settled their differences out of courts and the game’s rights now belong to its creator, Desilets, once again. If you’re wondering what’s coming, here’s our list of upcoming PC games. This footage, although from an old build based around PS3 and Xbox 360 capabilities, gives us a glimpse of what sort of thing we can expect from the game if it’s ever revived, which is now a very real possibility. ‘Be worse than the Devil’ was to be the game’s tagline, and it seems the protagonist had control over creatures associated with black magic – rats, crows and black cats are shown – manipulating them Dishonored style to murder people as you casually pass them on a boat downriver. It looks a bit ropy by today’s standards, but I’d love to see it continued with modern technology. Flying through Amsterdam as a crow looks glorious, and it’d be nice to have more games that use a historical real life setting as a backdrop for your adventure. Outside of Assassin’s Creed – another series Desiliets helped define – our industry is surprisingly light on that sort of experience.